An apple a day keeps the doctor away. Chicken soup cures everything. You should feed a cold and starve a fever. Every culture and every family has their ‘old wives tales’ – different quirks and shortcuts, tricks and tips that are mainly supposed to help treat and cure a wide variety of health problems. For the most part, these tips are based on people’s experiences and observations – and not much else. If we look at most old wives tales, they tend to follow a similar pattern – one called ‘post hoc ergo propter hoc’. This is a Latin phrase that translates to ‘after this, therefore because of this’. It’s often referred to more simply as the post hoc fallacy. It describes how people often presume that if two events happen in succession, the first causes the second. That if ‘A’ happened before ‘B’, ‘A’ caused ‘B’. It’s easy to understand how people can jump to the conclusion of one thing causing another. A lot of the time it seems to be the only logical explanation, that there’s no other explanation for how things panned out. For example, a lot of people believe that using lemon juice or apple cider vinegar (ACV) mixed with water will stop their dog getting fleas. If their dog doesn’t get fleas, they attribute this to the fact that they have been using lemon juice or ACV. They are validated in their thinking – lemon juice or ACV can stop dogs getting fleas. But we can’t forget that if the dog didn’t ever get or have fleas in the first place, the lemon juice or ACV is having no effect. Not only that, but there are thousands of dog’s out there who don’t have fleas and are not sprayed with lemon juice or ACV mixtures. A lot of dog owners also believe that including certain supplements – for example turmeric – in their dog’s diet can prevent and treat a variety of illnesses including arthritis and cancer. If their dog then doesn’t get diagnosed with either of diseases, the owner puts it down to the inclusion of turmeric (or other supplements) in their diet. However the reality is that the vast majority of dogs do not get arthritis or cancer, irrespective of whether or not they take turmeric or other supplements. Equally, there are dogs who receive these supplements who will unfortunately still be diagnosed with these diseases. Another way to consider the post hoc fallacy is by taking an extreme example. If you always do your laundry at 5pm on a Thursday, and your dog never gets fleas, then according to the post hoc ergo propter hoc fallacy, you doing your washing on a Thursday is preventing your dog from getting fleas. For the most part, engaging in behaviours that follow the post hoc fallacy won’t cause your dog any harm. Including supplements in your dog’s diet generally isn’t damaging, nor is spraying their fur with some lemon juice or ACV. But following this fallacy can sometimes be dangerous. It can cause people to close their minds to reason and scientific evidence, and at the same time make them more vulnerable and susceptible to exploitation by quacks. A lot of alternative medicines pedalled by quacks are ‘cures’ for ailments that generally have a high rate of spontaneous recovery – that is they usually eventually sort themselves out. For example there are a lot of alternative remedies out there for curing stomach problems. But for the most part, fasting your dog for 12 to 24 hours followed by a bland diet for a few days, the problem will resolve itself and clear up of its own accord. Following the post hoc fallacy can also be dangerous when people believe in it more than in conventional medicine, and so in turn use it as a way to treat serious conditions. All too often we hear of people ‘curing’ their dog’s cancer, diabetes or arthritis (to name but a few) using alternative medicines and tips they got from forums, friends and family. They rubbed a balm on their dog’s hip joint and within months their arthritis was cured. Or they used vitamins and herbal supplements to treat their dog’s cancer – the dog lived with a good quality of life for months or even years, until they eventually passed away. But when it comes to serious illnesses, it’s not recommended to trust the advice of quacks, on forums or even friends. Rather, the best thing to do is speak to and follow the advice of your vet. 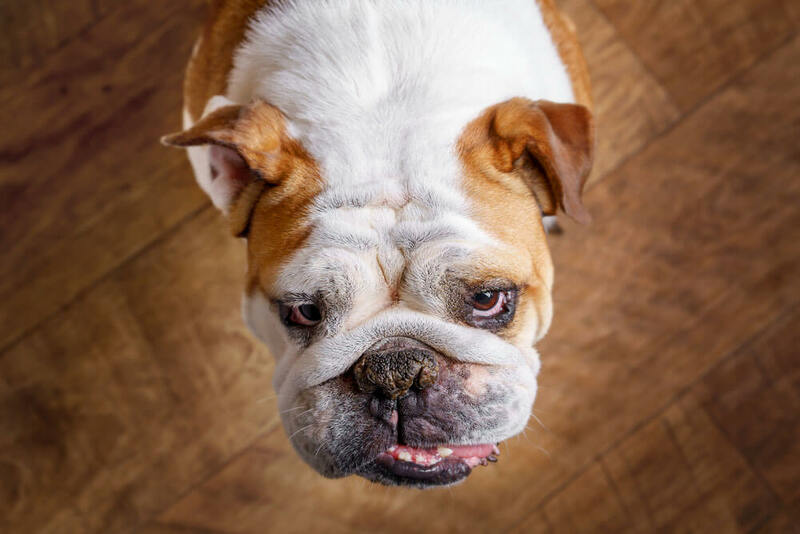 This is because in some instances, ‘treating’ diseases like cancer and arthritis with alternative medicines or following advice from forums, family and friends can damage your dog’s health, and make things worse. This is especially the case if you choose to follow this advice rather than using conventional, scientifically proven treatments. We all want to see our dog’s live the healthiest, happiest life possible. And we want to do this in a relatively simplest way that is also easy for our dogs. I certainly don’t object to people saying “here’s what I think” or “here’s what happened to me” but be careful following and believing old wives tales – they aren’t based on science or fact, but rather on observation and experience. And remember that just because ‘A’ happened before ‘B’, it doesn’t mean it caused ‘B’ – sometimes, it really is just a coincidence.